Resto Cruz is interested in the relationship between kinship, personhood, and social and geographical mobility. 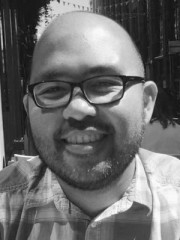 His PhD thesis, which he is currently revising into articles and a book manuscript, examines the coming of age of the post-1945 generation in the central Philippines and their pursuit of upward mobility. He has recently started work on an ESRC-funded study of the post-war generation of women in Britain, their experiences of mobility during childhood and youth, and the implications of this for later life.